Our Holiday Seasons Favourite, December 7, 2108 is the 21st Annual Christmas Concert. We have a great line up for a great night out. 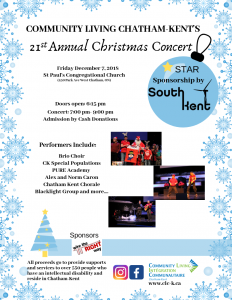 We will be ringing in the Christmas Spirits with dances, singing, skits and more…….. This is a free event and donation’s are welcome. It will be a packed house so come early and get your seats. Doors Open 6:15pm and we will be starting 7pm sharp. St Paul’s Congregational Church. 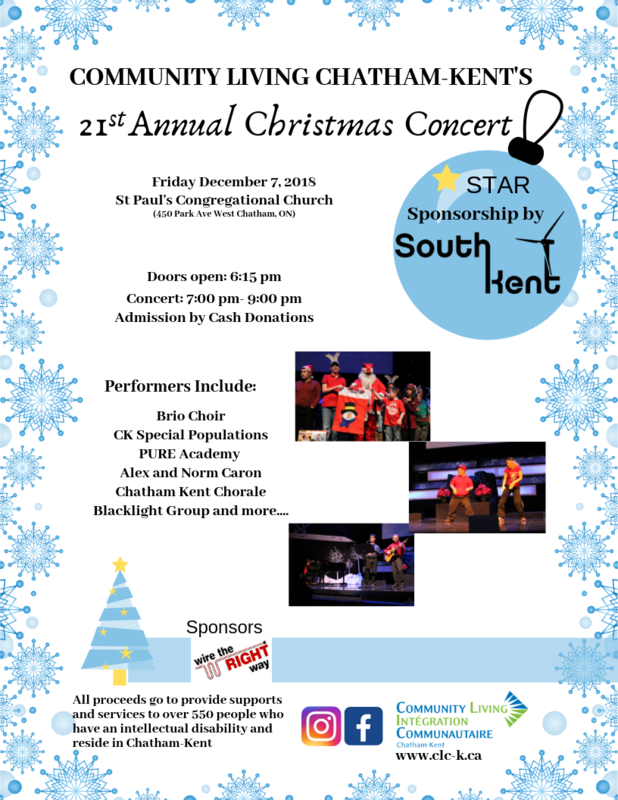 Our Star Sponsor is South Kent Wind, and a Silver Sponsor from Wrights Electric.